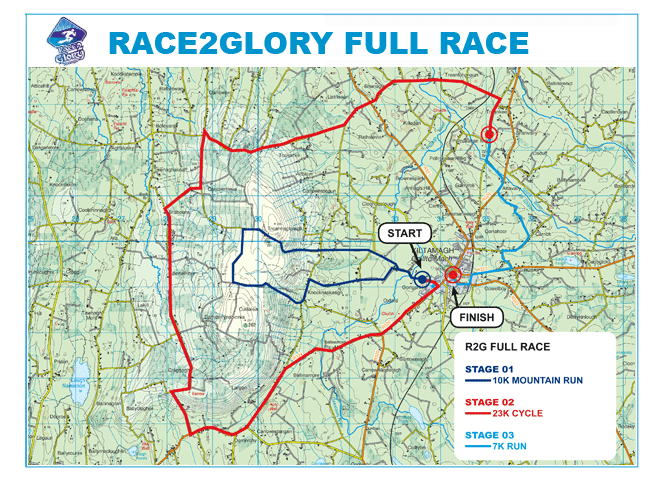 Race2Glory is a multi-sport adventure race involving cycling, running and a river run, taking place on the	13th July 2019 in Kiltimagh, Co. Mayo. 2019 will see the availability of 2 separate races. The long established “Full Race” (40km in total) course will remain as well as the “Sprint Race” (20km in total) course that was introduced in 2015 and proved very popular. Both courses are divided into 3 routes. 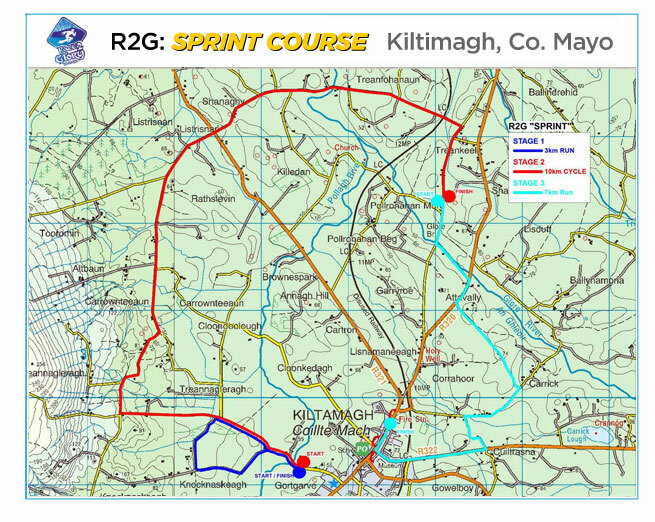 Stages 1 & 2 of the Sprint course are shorter versions of stages 1 & 2 of the Full course, while Stage 3 remains the same for both Full and Sprint competitors. The relay option for the FULL RACE only . Please see details of both courses below.